Seemed irritable, agitated or anxious. Limited social interactions to avoid detection. Had unexplained absences from work, school or missed appointments. 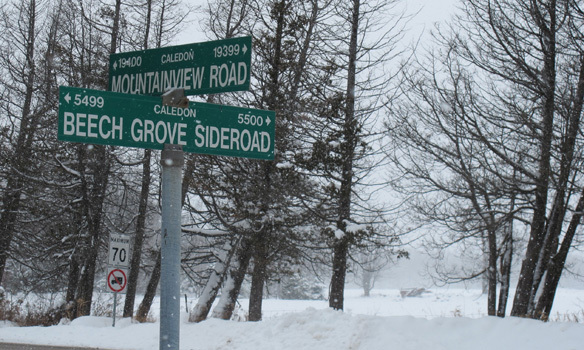 The suspect police say is likely very familiar with the Orangeville area and the gravel Beech Grove Sideroad, near Mountainview Road in Caledon, where Varaschin's body was dumped. He may know it because of "recreation, occupation or illegal activities." Police and investigators have received 460 tips to date on the Varaschin case and conducted more than 500 interviews but say they are still looking for a tidbit that might lead them to the killer. "There's no tip that isn't worth the police looking into," Pritchard said. "And I think the message I'm trying to get out is that no matter how insignificant a suspicion or information is, we want them to come forward and talk to us." If you have any information that may help solve this case please call Orangeville Police Service Tip Line at (519) 941-2522, or Crime Stoppers at 1-800-222-8477. Sonia Varaschin s remains were found in a rural area in Caledon near Beech Grove Sideroad and Mountainview Road. CBC s John Lancaster reports from the OPP news conference about the investigation into Sonia Varaschin s killing. The killer attacked Varaschin 42 in her home in Orangeville about 80 kilometres northwest of Toronto either late on Aug.